When Should I Close My Checking Account? If you've experienced less-than-stellar service, pay monthly account fees, or have had other issues with your bank account (like overdraft fees), you may be considering switching banks. Remember, you are not trapped at your bank and there are always other options available. Read on for three reasons to open an account at a new bank, and how to find the best new bank for you. Worth noting: Before you make the decision to switch banks, you need to determine what caused the problem, and if it was your bank’s fault or your fault. If the issues you've experienced with your bank are a result of not managing your money properly, then your problems will only follow you to another bank. In that case, it's up to you to change your bad financial habits. 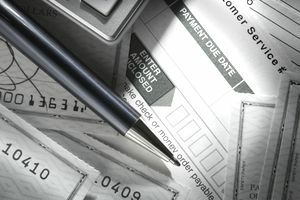 If you are charged a monthly service fee, you may want to consider changing banks. But before you make the switch, call your bank and see if they will offer you an account with no monthly service fees. For example, you may have an account with a high minimum balance requirement and switching to an account with a lower minimum balance requirement will save you money in monthly service fees. While switching to a new bank account may negate some of your current perks, like free money orders or traveler's checks, ask yourself if you really use these features enough to make paying the monthly fee worth it. It also may be worthwhile to see if your bank will waive the account fee if you have direct deposit to your account. If this is the case, you may want to see if your employer is willing to offer direct deposit. You may also be willing to switch banks in order to qualify for lower interesting on a mortgage or car loan. This can offer significant savings and it is definitely worth considering. If you have gotten into a cycle of returned items or being overdrawn, you may want to change banks to start fresh. But keep in mind that this will not solve the problem. You need to become more responsible with money and make it a habit to track your spending while sticking to your monthly budget. However, if a new bank offers overdraft protection and your current bank does not, it may be worthwhile to switch. You also might consider investing in financial software so that you can track your spending and stick to your budget throughout the month. It's also important to note that your current bank account must be in the black before you can switch banks. If you want to switch banks because of experience with poor customer service, this is a valid reason to make the move. Other reasons you might consider moving banks: there are not enough locations, or you are moving and there isn't a branch near your new home. You also may consider a smaller bank, since they often have better customer service. Additionally, credit unions are extremely customer-friendly. You can compare the different accounts and fees online. However, if you had issues with customer service in the past, you may want to visit your nearest banks to determine if the new bank will be a good fit for you. If you decide to open a new account you should shop around for a bank that will best fit your needs. As you look for a new bank think about the accounts offered and fees associated with them, bank and ATM locations and bank size. Also think about features that are important to you, such as customer service, overdraft protection, and any special perks that are important to you. For example, if you prefer to do all your banking online, then a brick-and-mortar bank may not be important to you and you may consider an online bank. Or, you may want perks like free coffee, checks, or no monthly service fees. If you've decided to switch to a new bank, don't be in a rush, and keep in mind that you don't have to close your old account right away. In fact, it's better to give it a bit of time to stop all activity on your old account and make sure all your payments have cleared. While you are waiting, you can begin transferring your direct deposits and automatic withdrawals to your new account. This means you will have accounts at multiple banks for a short period of time, but it will make it easier to transfer all of your payments to your new account. You will need to be sure to switch over all of your monthly transfers, automatic drafts, and direct deposits. When you close your bank account, you need to do it in person or in writing. It can take time, and it is a good idea to have all of your payments and deposits transferred for a bit before you actually close the account.